During the 2016 holiday season, Hatchimals — stuffed animals that hatched from spotted eggs — flew off the shelves, and last year, Fingerlings — virtual pet monkeys — took their place. Today's most wanted children's toy, particularly in the UK, is none other than a stuffed toy carrot named Kevin. 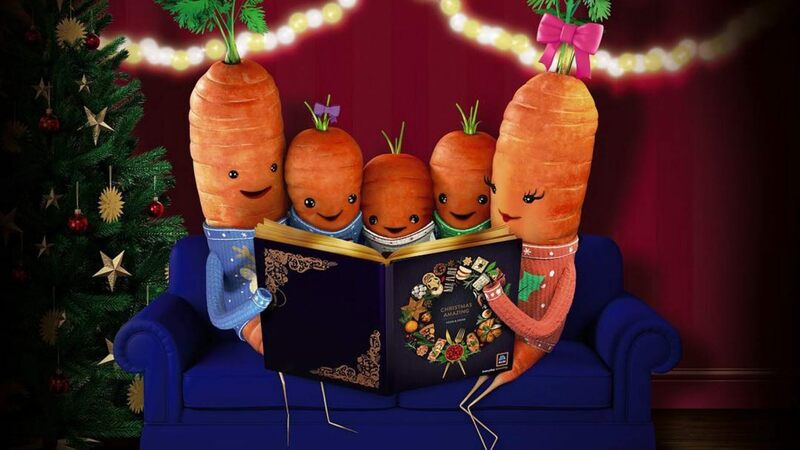 Popular German discount grocery store, Aldi, is currently spreading holiday cheer with Kevin the Carrot, the star of its holiday-themed commercials since 2016. Recently, UK-based shoppers woke up early and braved the winter chill to line up outside their local Aldi locations. Why? To get their hands on Kevin (and additional members of his adorable carrot family). In true Black Friday/Cyber Monday fashion, Aldi even reported a technical glitch due to heavily increased volumes of customer activity on their website. “The buzz around our Kevin the Carrot soft toys range has been extremely high and briefly impacted the performance of our website,” Aldi wrote, according to Food and Wine. "The website is now fully operational again." Currently, Kevin the Carrot is sold out online, but UK shoppers are encouraged to keep an eye on Aldi’s website for in-stock locations nearby. Proceeds from the toy support Aldi’s partner Teenage Cancer Trust, a charity that exists to improve the cancer experience of young people aged 13–24. Learn more about Aldi’s Kevin the Carrot here.